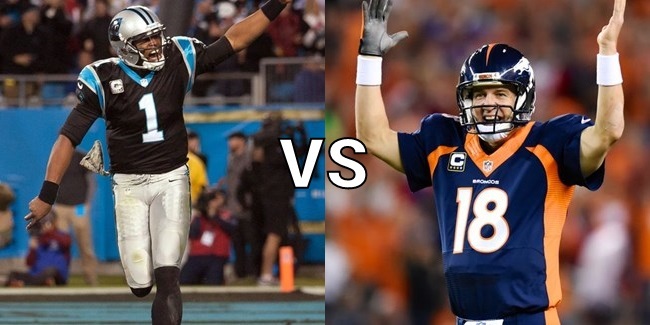 The Superbowl 50 matchup places a young happening now Quarterback Cam Newton Vs the classic traditional idea of a quarterback Peyton Manning. If you had bet $$$$ on the game who would you pick??? Check out Emperor Cole’s Superbowl Prediction!!! This entry was posted in Featured, Sports News and tagged Cam, Cam Newton against adversary, Cam Newton superbowl, carolina panthers, Denver broncos, Denver vs Carolina, NFL, NFL Football, NFL Superbowl, Panther vs Broncos, Peyton's farewell. Peyton's swansong, Peyton's last game, Superbowl. Bookmark the permalink.